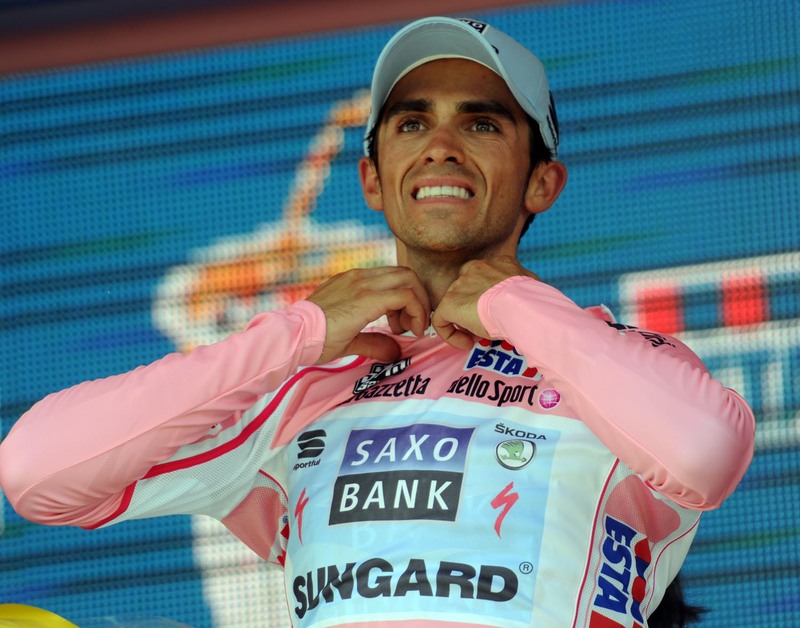 Alberto Contador (Saxo Bank-Sunguard) has won the ninth stage and taken the race lead of the Giro d’Italia after a commanding ride on Mount Etna today. Having fired a warning shot with second in yesterday’s stage, the controversial Spaniard hit out good and proper this afternoon with a sortie 6.8km from the finish line on the Sicilian volcano. Although initially joined by key Italian contender Michele Scarponi (Lampre), climber Jose Rujano (Androni Giocattoli) was the only rider who could stick with Contador’s blistering pace for any length of time. But even the Venezuelan was eventually dropped after a series of digs from the Tour de France winner on the barren top slopes of the climb. With Rujano taking second place, Stefano Garzelli (Acqua & Sapone) was the best of the other favourites, leading in Vincenzo Nibali (Liquigas-Cannondale), Roman Kreuziger (Astana), David Arroyo (Movistar) and HTC’s Kanstantsin Sivtsov 50 seconds back. Scarponi paid for initially trying to follow Contador, coming in a further 17 seconds down. Earlier in the stage, the Italian’s team had driven hard on the front of the bunch in hope of setting him up for an assault on his rivals. 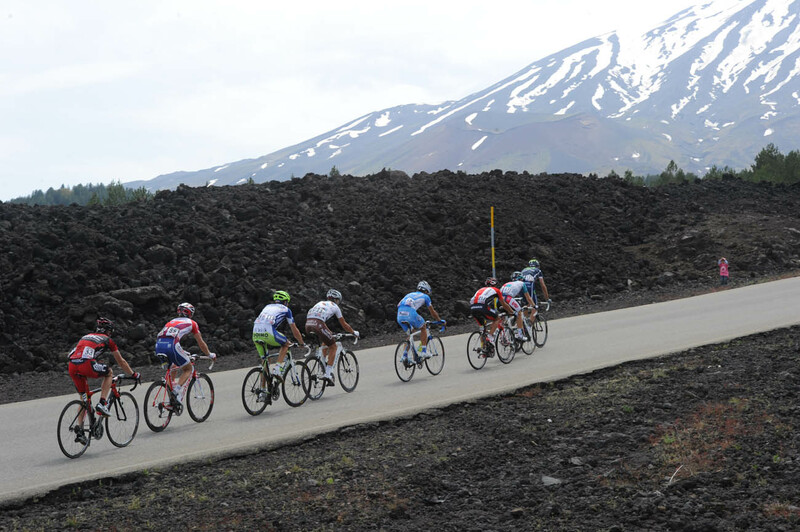 Lampre had pulled the bunch onto the slopes of the climb over four minutes down on a nine man group that had led the race over an earlier passage of Etna. Although the group disintegrated on the ascent, it was only Contador’s attack that swept up the last survivors of the break: Jan Bakelants (Omega Pharma-Lotto), Giovanni Visconti (Farnese Vini-Neri Sottoli) and Mathias Frank (BMC). 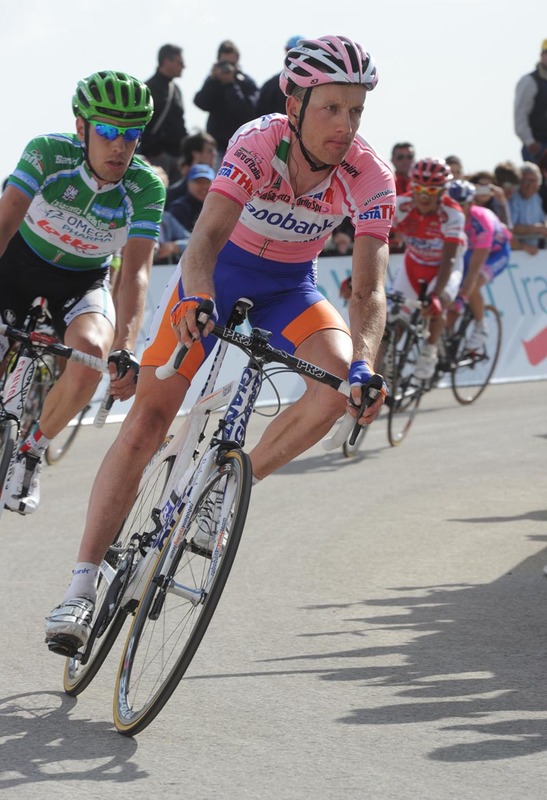 With previous race leader Peter Weening (Rabobank) losing over six and a half minutes on Etna, he made way for Contador -who had also gained a 20 second time bonus for the stage win- to take over the pink jersey. John Gadret (AG2R), Kreuziger and Nibali all tried attacks behind, but each was a case of too little too late. With Contador’s performance head and shoulders above his rivals, it makes an uncomfortable situation for the race ahead. Although cleared of doping by the Spanish Cycling Federation earlier this year, the decision could be reversed next month by Court of Arbitration for Sport. Tomorrow the Giro has a rest day.